There are so many awesome features to choose from. You will find that PlumbersStock offers a wide variety of beautiful and wear-resistant finishes to ensure you find the faucet that matches your home's design. Many of the finishes are available with their patented Brilliance technology, which helps to prevent abrasions and discoloration that eventually comes about with other faucets. Some of the finishes include chrome, oil rubbed bronze, stainless, white, black, champagne bronze, Venetian bronze, and more. Delta is dedicated to finding the latest technology. 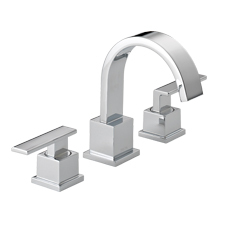 Knowing Diamonds are the hardest substance on the earth, Delta integrated this quality into its faucet design. The Diamond Seal technology coats the cartridge seating surface with a touch diamond coating, enhancing durability tenfold. 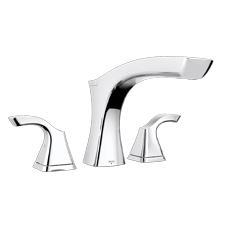 This extends Delta faucet life up to ten years longer than the competition and keeps your water fresher by protecting it from other metals and contaminants. 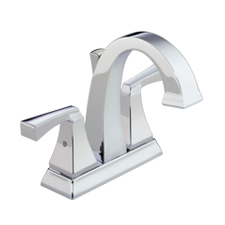 Delta faucets equipped with this technology are very convenient for the cook in your family. 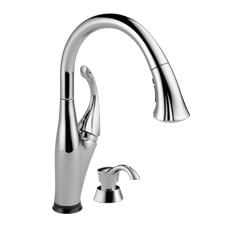 Touch20 allows you to turn the water on and off by touching the spout of the faucet. 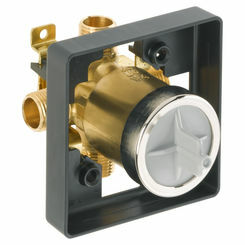 The faucet can also be used traditionally by adjusting the temperature and volume with the handle. 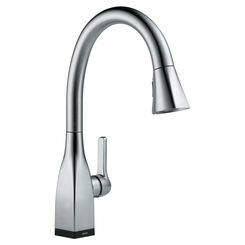 This Delta faucet technology automatically turns off after four minutes. This faucet installs just as any other faucet would, meaning you likely will not need a plumber and do not need an electrician. Delta has unveiled Touch20.xt technology on specific models. The newly released Dryden line of lavatory faucets showcases this innovation that allows users to operate the faucet through touch sensors or a traditional manual faucet handle. You can set the faucet to operate when proximity is established, so it does not require that you touch the faucet. MagnaTite docking is another great feature to consider. 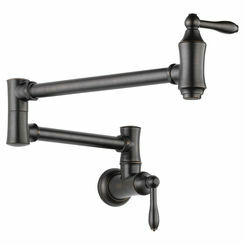 Some faucets that have a detachable wand are hard to connect back into the base of the spout. With Delta's MagnaTite technology the wand comes free with a powerful magnet that is built into the center of the spout. It keeps the wand firmly in place when you are done using it. 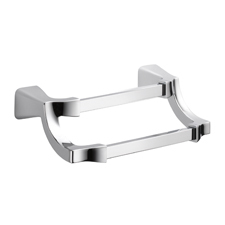 This technology further demonstrates that Delta kitchen faucets are innovative and address customer needs. 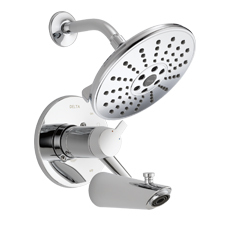 This remarkable hand shower comes equipped with eight different setting to choose from, ranging from soft massage to drenching spray and everything in between. It also comes with a pause feature, allowing you to save water as you are lathering or shaving. The handle is built to fit comfortably in your hand with slip resistant grips. It comes with a hose that can stretch to reach any corner and patented offers TouchClean spray holes, making clean up a breeze. H2O technology sculpts water into a wave pattern unique to Delta, creating an entirely new showering experience. 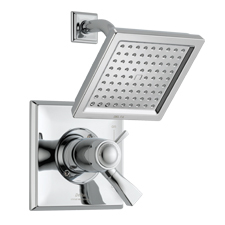 The water is led through a series of chambers that make the water oscillate, twist, and spin before exiting the shower head in waves. This technology makes the drops of water bigger, so the water remains hot longer, and you get the added benefit of saving water without diminishing the experience. These shower heads come in both stationary and pull out varieties. 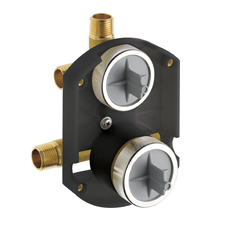 Parts can sometimes be hard to find, but PlumbersStock has the selection, affordability, and expertise you seek when purchasing a Delta faucet. Delta is dedicated to creating the most innovative products and providing service that exceeds expectations. They are consistently recognized as an industry leader in kitchen and bathroom products, winning eight different awards in 2009 alone. In 2011, Delta received the prestigious WaterSense Manufacturer of the Year award for its innovative technological advances in water conservation.  If you have any questions, please contact our professionals at PlumbersStock.com! To speed up your search, you can use the filters on this page to refine the product results to match your needs. Learn more at DeltaFaucet.com.